This bold Kells Music release is a combination of new recordings of some of Warfield's favorite Wolfe Tones tracks along with some striking new ballads and other old favorites. It features, of course, A Nation Once Again, recently voted the world�s most popular song. 17 other songs including Men Behind The Wire, The Rising of The Moon, and the stirring new Ballad of Michael Hogan (about Bloody Sunday 1920) round out this gem. The tunes are played the way you were meant to hear them. True musical craftsmanship! 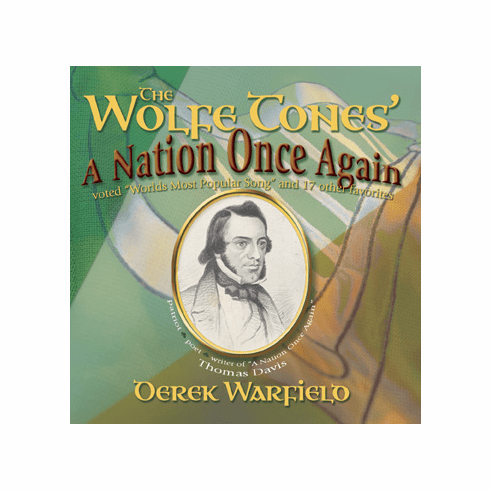 If you ever thought for a second you enjoyed the WolfeTones then this is a must have CD, for Warfield fans, Wolfe Tones fans and fans of the Irish ballad tradition.